← A new Leonardo is coming next to Palazzo Vecchio, Florence? As by tradition the Pisans celebrate their patron saint, San Ranieri – Saint Rainerius – on the 17th June. The previous evening thousands of wax candles are set in glasses and fixed on white wooden frames, in jargon “linen”, biancheria, and placed on buildings and monuments, outlining their architectural forms. 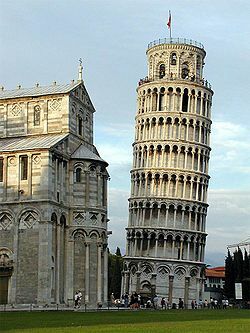 The only exception to this unique scenario is the Leaning Tower, which is equally illuminated archaically by pans of oil, also placed on the battlements of the city walls surrounding the Square of Miracles. Special candles are used, especially manufactured to resist wind and produce a particularly bright flame. For many years Pisa used glass beakers. Since 1999 for security reasons these have been replaced by special coned-shaped glasses of transparent plastic, easily set in the metal rings of the frames, la biancheria. 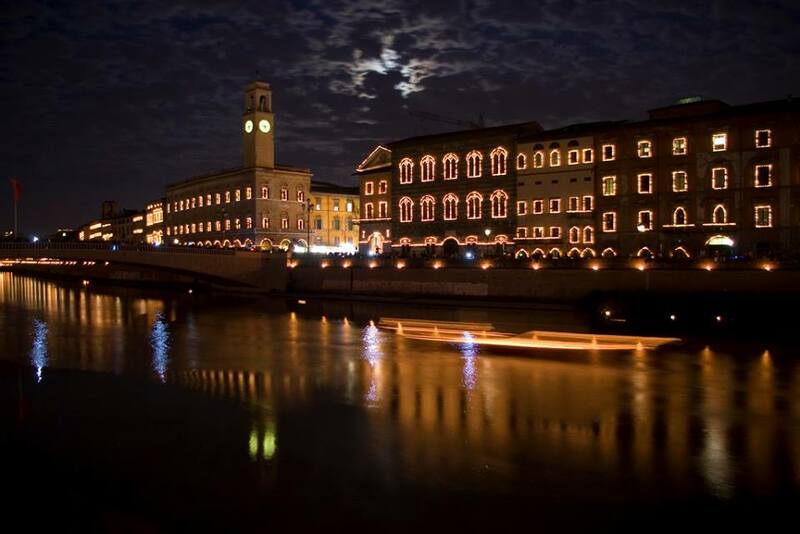 Once set alight, and all the public and private illumination is shutdown, the effect of multitudes of twinkling lights on the water of the River Arno, together with the floating candles entrusted to the current, offer visitors a unique splendour with an antique flavour. 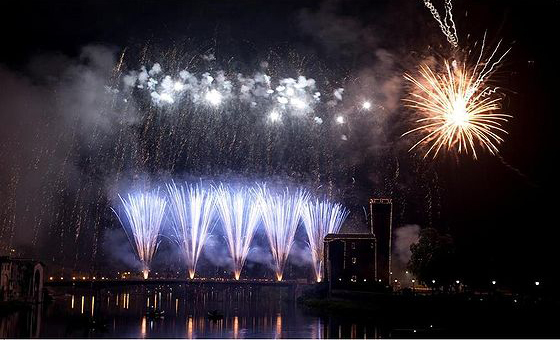 The evening concludes with a series of firework displays at midnight performed from the Cittadella and the nearby bridge, and, in recent years, from the other bridges of town. 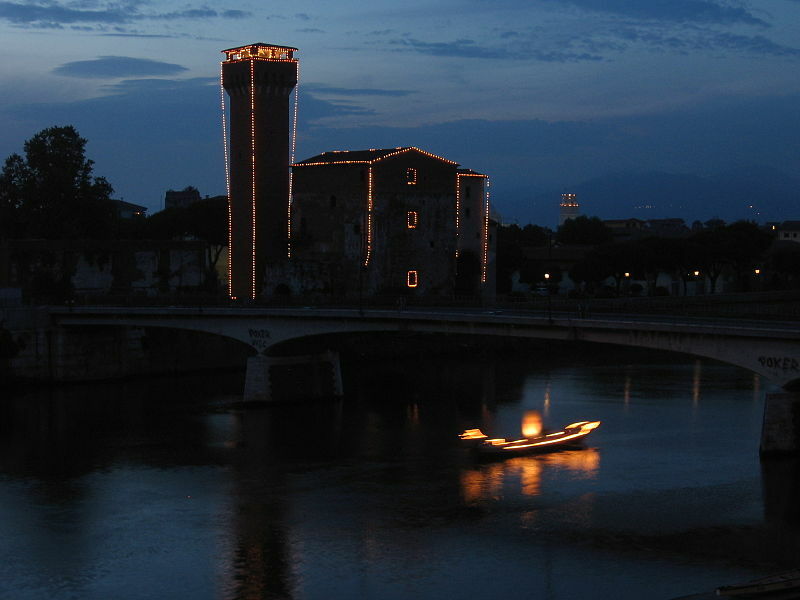 The celebrations in honour of the patron Saint continue the following day in the waters of the River Arno, where Pisa celebrates its Regatta of San Ranieri. 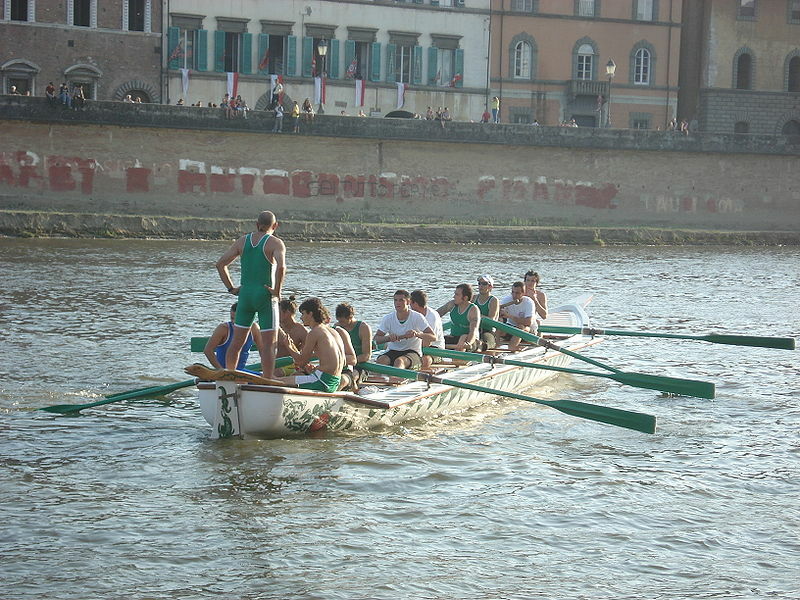 Four boats, drawing inspiration from the frigates of the Medici order of the Knights of Saint Stephen, compete to win the Palio di San Ranieri. The first traces of this palio date back to the 13th century, when chronicles cite an event held in the year 1292 in celebration of the Assumption. 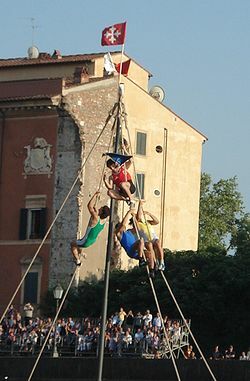 Only from 1718 was the palio disputed on the 17th June to celebrate the patron Saint, San Ranieri. There is one boat for each historic quarter: Santa Maria, San Francesco, San Martino and Sant’Antonio. Their galleys are respectively called ‘the Azure’, ‘ the Yellow’, ‘the Red’ and ‘the Green’. Each crew consists of eight rowers, a helmsman and a bowman. At the finishing line, the latter have to climb up ropes to the top of a ten meter mast, mounted on a barge in the middle of the river, and reach the banner of victory with the same colour of his quarter. The last one to reach it wins a couple of ducks. Another good oppor-tunity to plan a visit to one of the most famous towns in the world. 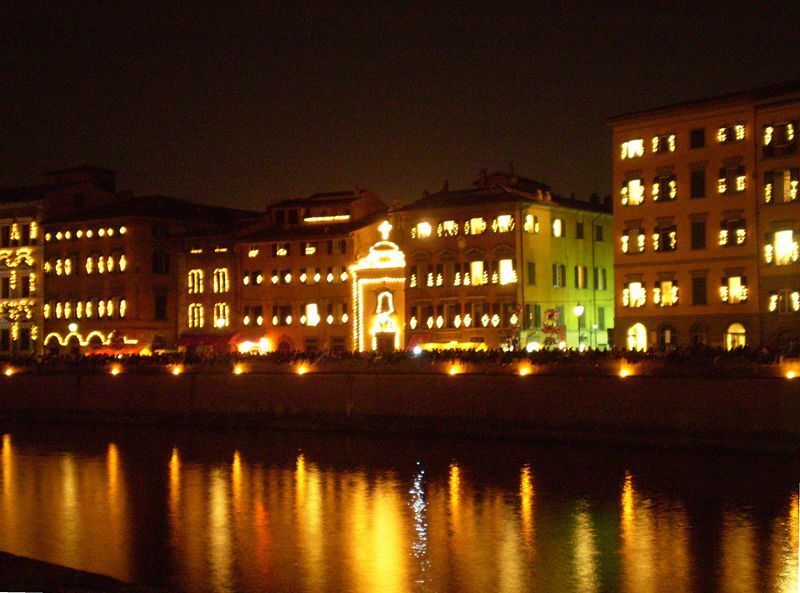 For accommodations in Pisa come visit www.tuscanyholidayrent.com.